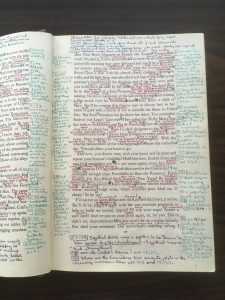 If you scroll down to the post for Dec. 19, 2018 you will see a heavily annotated copy of Finnegans Wake. 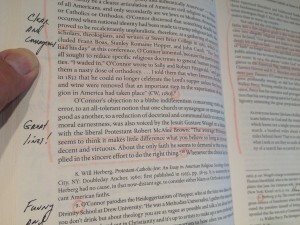 My friend and regular reader of this blog, Dr. Dave McCoy, made a comment about his own copy of Finnegans Wake. I asked Dave to send me a picture and he has. This entry was posted in Reading, Writing on January 2, 2019 by Dave. We spent several days last week visiting with friends from Brenham Bible Church. This is the church I preached at from 2010-13. During a break between visits, Doreen and I went to Starbucks to read. I met a man there from New Orleans with a thick accent. He was curious about about the books I write. He laughed and said my confusion was due to his heavy accent. This entry was posted in Humor, Reading on July 26, 2018 by Dave.